Take a look at our Bookseller Kits: marketing materials to help you display and/or to hand sell your favorite Unbridled titles, from reading guides to posters, and more! You Believers is a damn good read. It has all the elements that keep the reader glued to the seat, ignoring pressing obligations—well-drawn, intriguing characters, sweaty palms-suspenseful scenes, dark humor, and poignant sorrow. This story lingers with the reader long after the book is closed, and returns again and again with every “Missing” headline. A young woman goes missing, and her mother uproots her life to find her daughter. A professional searcher with uncanny empathetic skill works to find the missing and to comfort desperate loved ones left behind. A tortured young man hellbent on destruction leaves a trail of pain, sorrow and even hope, as he moves through the lives of friends, loved ones, and strangers. 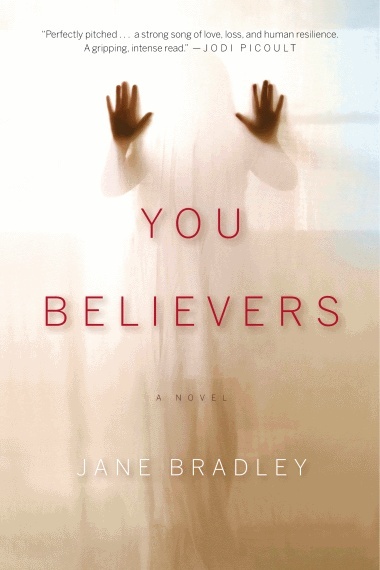 You Believers explores the ripple effects of a random crime. It takes you on a journey through hell and back, a journey that offers insight on how we can endure horrible events with faith, strength, and grace. Amidst the darkness there are flickers of hope as characters move from unspeakable horrors, and in the end celebrate the tenacity of the human spirit. Bradley portrays this world with a vision that is at once ruthless and utterly compassionate. Under her hand, it is not just the mystery of the hunt or the heartbreaking search for a woman that keeps us locked within the layers of story; rather, it is the deeper mystery explored here, the search for logic, meaning, and redemption, in the domino force that is human nature. It’s classic, almost. Like the story of Persephone picking flowers in a field one spring afternoon. The earth opens. Hades comes roaring up in his chariot, black horses digging up dirt with their hooves, hot breath swirling from flared nostrils. With a quick swoop of thick, muscled arm, Hades snatches the girl, drags her down to the underworld. You know the story. A mother comes to the rescue, finds her daughter has eaten six seeds of the dark fruit, pomegranate seeds that crunched between the girl’s teeth, red juice running from her lips. And the mother’s world, the whole wide world, is changed. My name’s Shelby Waters, and you don’t know me, and you might not ever want to know me because I’m a searcher. I’m the one you call when someone you love goes missing. Yes, of course you call the cops first, and you should. But once the cop is gone with his report and the profile of what went down rising up in his mind, and you’ve got nothing left but worry and waiting for the phone to ring, you call me. And I listen to your sorrows and fears and speculations. And you, like everyone who’s missing someone, hope for the best and fear the worst. That’s a hard line to walk. So I step in and I look at your pictures, letters, whatever fragments you might have that belong or relate to the one you’ve lost. I try to fill in the gaps between what you think might have happened, what you fear might have happened, and what did go down and how it went. And while I’m figuring the story, I’m doing my best to make you feel you can stand and walk, and no matter what happens, you can go on and live. Jane Bradley is the author of two acclaimed story collections and a novella, Power Lines, which was named a New York Times Notable Book. Originally from Chattanooga, Tennessee, she now teaches at the University of Toledo in Ohio. This is her first full-length novel.